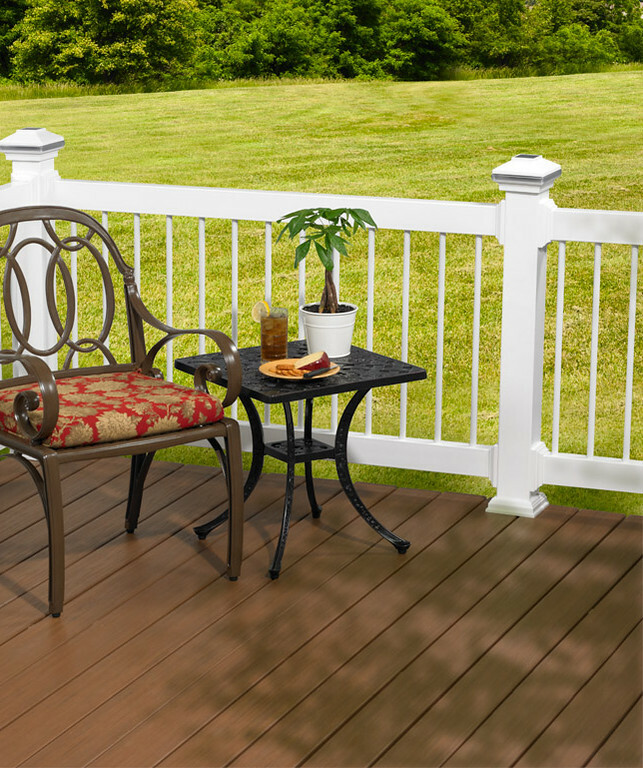 Wolf Classic Series Designer Rail features designer-styled top and bottom rails pre-routed with round holes for Deckorators Classic and other aluminum balusters. Made from 100% polyvinyl chloride (PVC) with aluminum reinforcement, Wolf Rail is exceptionally strong and durable. Choose from a complete kit or component packaging for almost limitless design flexibility.